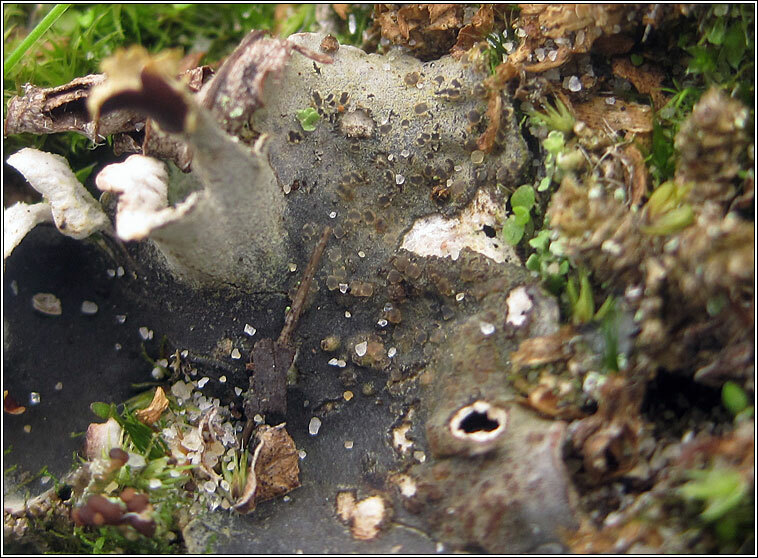 Usually parasitic on Peltigera species. 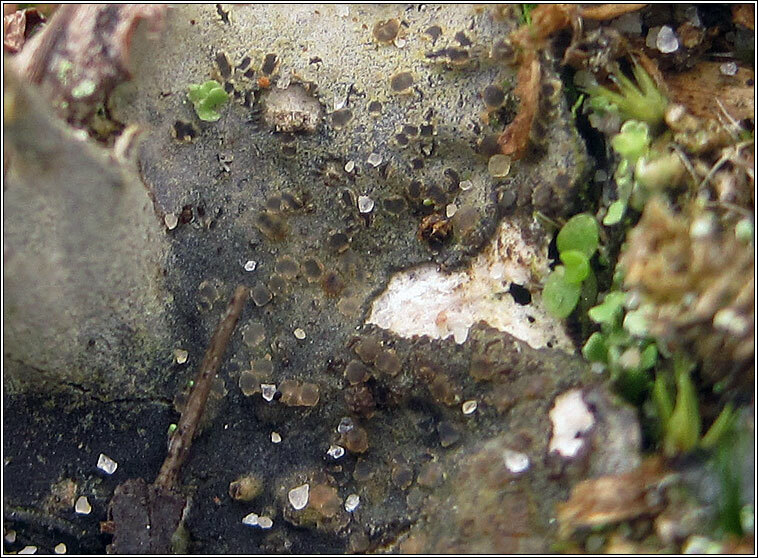 Rare on Nephroma laevigatum. 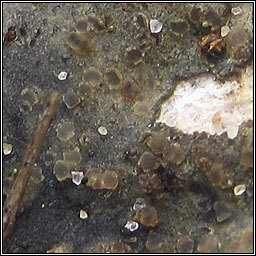 Immersed and sometimes confluent whitish to pale browm ascomata, 0.2-0.5mm diam. 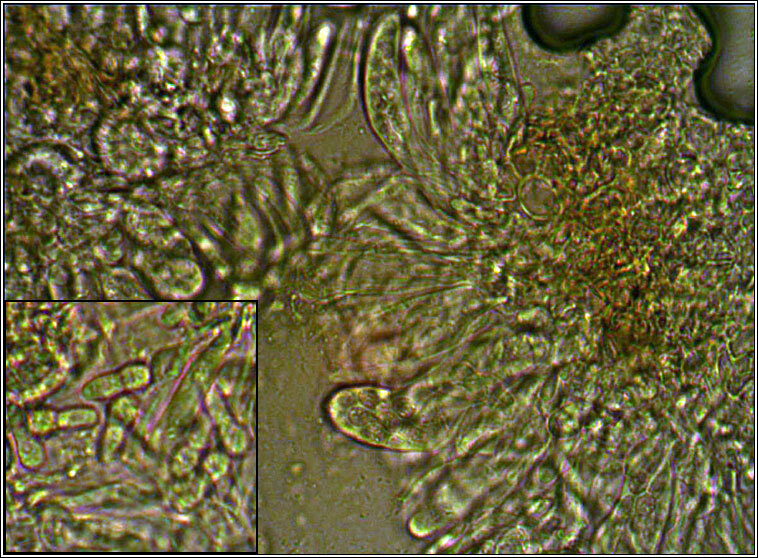 Asci are 8-spored, spores hyaline, 1-septate, 12-16 x 4-6 µm. Microscope photograph below.